I am honored that the editors of the Journal of Economic Methodology have created this special issue on the subject of reflexivity and have invited me, as well as a distinguished group of scholars, to contribute. Of course I did not discover reflexivity. Earlier observers recognized it, or at least aspects of it, often under a different name. Knight (1921) explored the difference between risk and uncertainty. Keynes (1936, Chapter 12) compared financial markets to a beauty contest where the participants had to guess who would be the most popular choice. The sociologist Merton (1949) wrote about self-fulfilling prophecies, unintended consequences, and the bandwagon effect. Popper spoke of the ‘Oedipus effect’ in the Poverty of Historicism (1957, Chapter 5). My own conceptual framework has its origins in my time as a student at the London School of Economics in the late 1950s. I took my final exams one year early, so I had a year to fill before I was qualified to receive my degree. I could choose my tutor, and I chose Popper whose book TheOpen Society and Its Enemies (1945) had made a profound impression on me. In Popper’s other great work Logik der Forschung (1935), which was published in English as The Logic of Scientific Discovery (1959), he argued that the empirical truth cannot be known with absolute certainty. Even scientific laws cannot be verified beyond a shadow of a doubt: they can only be falsified by testing. One failed test is enough to falsify, but no amount of conforming instances is sufficient to verify. Scientific laws are always hypothetical in character, and their validity remains open to falsification. While I was reading Popper I was also studying economic theory, and I was struck by the contradiction between Popper’s emphasis on imperfect understanding and the theory of perfect competition in economics, which postulated perfect knowledge. This led me to start questioning the assumptions of economic theory. I replaced the postulates of rational expectations and efficient markets with my own principles of fallibility and reflexivity. After college, I started working in the financial markets where I had not much use for the economic theories I had studied in college. Strangely enough, the conceptual framework I had developed under Popper’s influence provided me with much more valuable insights. And while I was engaged in making money I did not lose my interest in philosophy. All that changed as a result of the financial crisis of 2008. My understanding of reflexivity enabled me both to anticipate the crisis and to deal with it when it finally struck (Soros, 2008, 2009). When the fallout of the crisis spread from the USA to Europe and around the world it enabled me to explain and predict events better than most others (Soros, 2012). The crisis put in stark relief the failings of orthodox economic theory (Soros, 2010). As people have realized how badly traditional economics has failed, interest in reflexivity has grown. Thus, this issue of the Journal of Economic Methodology is timely. Economics is in a period of intellectual flux and while some economists will cling to ideas of market efficiency and rationality to their final days, many others are eager to pursue alternative approaches. In this essay, I will articulate my current thinking. In Section 2, I shall explain the concepts of fallibility and reflexivity in general terms. In Section 3, I will discuss the implications of my conceptual framework for the social sciences in general and for economics in particular. In Section 4, I will describe how my conceptual framework applies to the financial markets with special mention of financial bubbles and the ongoing euro crisis. I will then conclude with some thoughts on the need for a new paradigm in social science. I have a peculiar problem in explicating my conceptual framework. The framework deals with the relationship between thinking and reality, but the participants’ thinking is part of the reality that they have to think about, which makes the relationship circular. Circles have no beginning or end, so I have to plunge in at an arbitrary point. That makes my ideas less clear when I put them into words than they are in my own mind. I am not the only one affected by this difficulty but I feel obliged to warn the reader that this section will be more convoluted and less elegant than it ought to be; the rest of the paper is not affected. The two principles are tied together like Siamese twins, but fallibility is the firstborn: without fallibility there would be no reflexivity. Both principles can be observed operating in the real world. So when my critics say that I am merely stating the obvious, they are right – but only up to a point. What makes my propositions interesting is that they contradict some of the basic tenets of economic theory. My conceptual framework deserves attention not because it constitutes a new discovery, but because something as commonsensical as reflexivity has been so studiously ignored by economists. The field of economics has gone to great lengths to eliminate the uncertainty associated with reflexivity in order to formulate universally valid laws similar to Newtonian physics. In doing so, economists set themselves an impossible task. The uncertainty associated with fallibility and reflexivity is inherent in the human condition. To make this point, I lump together the two concepts as the human uncertainty principle. The complexity of the world in which we live exceeds our capacity to comprehend it. Confronted by a reality of extreme complexity, we are obliged to resort to various methods of simplification: generalizations, dichotomies, metaphors, decision rules, and moral precepts, just to mention a few. These mental constructs take on a (subjective) existence of their own, further complicating the situation. The structure of the brain is another source of fallibility. Recent advances in brain science have begun to provide some insight into how the brain functions, and they have substantiated David Hume’s insight that reason is the slave of passion. The idea of a disembodied intellect or reason is a figment of our imagination. The brain is bombarded by millions of sensory impulses, but consciousness can process only seven or eight subjects concurrently. The impulses need to be condensed, ordered, and interpreted under immense time pressure; mistakes and distortions cannot be avoided. Brain science adds many new insights to my contention that our understanding of the world in which we live is inherently imperfect. Fallibility pervades our attempts to understand both natural and social phenomena, but it is not fallibility that distinguishes the social from the physical sciences. Rather, as will be discussed further in Section 3, the distinction comes from the fact that in social systems fallible human beings are not merely scientific observers but also active participants in the system themselves. That is what makes social systems reflexive. The concept of reflexivity needs some further explication. It applies exclusively to situations that have thinking participants. The participants’ thinking serves two functions. One is to understand the world in which we live; I call this the cognitive function. The other is to make an impact on the world and to advance the participants’ interests; I call this the manipulative function. I use the term ‘manipulative’ to emphasize intentionality. When both the cognitive and manipulative functions operate at the same time they may interfere with each other. How? By depriving each function of the independent variable that would be needed to determine the value of the dependent variable. The independent variable of one function is the dependent variable of the other, thus neither function has a genuinely independent variable – the relationship is circular or recursive. It is like a partnership where each partner’s view of the other influences their behavior and vice-versa. If the cognitive function operated in isolation, without any interference from the manipulative function, it could produce knowledge. Knowledge is represented by true statements. A statement is true if it corresponds to the facts – that is what the correspondence theory of truth tells us. But if there is interference from the manipulative function, the facts no longer serve as an independent criterion because the statement may be the product of the manipulative function. Consider the statement ‘It is raining.’ That statement is true or false depending on whether it is, in fact, raining. And whether people believe it is raining or not cannot change the facts. The agent can assess the statement without any interference from the manipulative function and thus gain knowledge. Now consider the statement ‘I love you.’ The statement is reflexive. It will have an effect on the object of the affections of the person making the statement and the recipient’s response may then affect the feelings of the person making the statement, changing the truth value of his or her original statement. Reflexivity has some affinity with the Liar’s Paradox, which is a self-referential statement. ‘This sentence is false’ is paradoxical. If the sentence is true, it means it is false, but if it is false, it means it is true. Bertrand Russell resolved the paradox by putting self-referential statements into a separate category and declaring them to be meaningless. Following Russell, an important school of philosophy, logical positivism, banned self-referential statements. Ludwig Wittgenstein carried this program to its logical conclusion in his Tractatus Logico-Philosophicus and in the end he concluded that he had embarked on an impossible task. In practice, it is impossible to avoid either self-referential or reflexive statements. Consequently, the cognitive function cannot produce all the knowledge agents need to make decisions; they have to act on the basis of imperfect understanding. While the manipulative function can make an impact on the world, outcomes are unlikely to correspond to expectations. There is bound to be some slippage between intentions and actions, and further slippage between actions and outcomes. Since agents base their decisions on inadequate knowledge, their actions are liable to have unintended consequences. This means that reflexivity introduces an element of uncertainty both into the agents’ view of the world and into the world in which they participate. While self-reference has been extensively analyzed by the Vienna school with which Popper was associated, reflexivity has received much less attention. This is strange because reflexivity has an impact on the real world, while self-reference is confined to the universe of statements. In the real world, the participants’ thinking finds expression not only in statements but also, of course, in various forms of action and behavior. That makes reflexivity a much broader phenomenon than self-reference: it connects the universe of thoughts with the universe of events. Bertrand Russell analyzed the Liar’s Paradox in a timeless fashion. But reflexive systems are dynamic and unfold over time as the cognitive and manipulative functions perpetually chase each other. Once time is introduced, reflexivity creates indeterminacy and uncertainty rather than paradox. Reflexive feedback loops between the cognitive and manipulative functions connect the realms of beliefs and events. The participants’ views influence but do not determine the course of events, and the course of events influences but does not determine the participants’ views. The influence is continuous and circular; that is what turns it into a feedback loop. As both the cognitive and manipulative functions are subject to fallibility, uncertainty is introduced into both the realms of beliefs and events. The process may be initiated from either direction, from a change in views, or from a change in circumstances. Reflexive feedback loops have not been rigorously analyzed and when I originally encountered them and tried to study them, I ran into various difficulties. The main source of the trouble was that thinking is part of reality and the relationship of a part to the whole is very difficult to describe. The fact that thinking is not directly observable adds further complications; consequently, the definition of reflexivity will be much more complicated than the concept itself. The idea is that there is a two-way feedback loop connecting thinking and reality. The main feedback is between the participants’ views and the actual course of events. But what about a direct two-way interaction between the various participants’ views? And what about a solitary individual asking herself who she is and what she stands for and changing her behavior as a result of her own internal reflections? To resolve these difficulties, I propose distinguishing between the objective and subjective aspects of reality. Thinking constitutes the subjective aspect. It takes place in the privacy of the participants’ minds and is not directly observable; only its material manifestations are. The objective aspect consists of observable events. In other words, the subjective aspect covers the participants’ thinking and the objective aspect denotes all observable facts, whether in the outside world or inside the brain. There is only one objective reality, but there are as many different subjective views as there are thinking participants. The views can be divided into different groups such as doubters and believers, trend followers and contrarians, Cartesians and empiricists – but these are simplifications and the categories are not fixed. Agents may hold views that are not easily categorized; moreover, they are free to choose between categories and they are free to switch. This is what is usually meant by free will but I consider free will a misnomer. People’s views are greatly influenced but not determined by external factors such as the views of others, heredity, upbringing, and prior experiences. So, reality is halfway between free will and determinism. Reflexivity can connect any two or more aspects of reality, setting up two-way feedback loops between them. We may then distinguish between two kinds of reflexivity: reflexive relations, like marriage or politics, which connect the subjective aspects of reality, and reflexive events, like the fiscal cliff or the euro crisis, which connect the subjective and objective aspects. In exceptional cases, reflexivity may even occur within a single subjective aspect of reality, as in the case of a solitary individual reflecting on his own identity. This may be described as self-reflexivity. When reality has no subjective aspect, there can be no reflexivity. In other words, the presence or absence of reflexivity serves as a criterion of demarcation between social and natural phenomena – a point I will discuss in detail in the next section. Let me illustrate the difficulties in analyzing the relationship between thinking and reality with the help of a diagram. Figure 1 describes the roles of the cognitive and manipulative functions, fallibility, and intentionality. Together this might be thought of as a reflexive system. Figure 1 A reflexive system. I have indicated the presence of multiple participants, and therefore multiple subjective realities. Nevertheless, the diagram is inadequate because it would require three dimensions to show the multiple participants interacting with each other as well as with the objective aspect of reality. Knight (1921) introduced an important distinction between risk and uncertainty. Risk is when there are multiple possible future states and the probabilities of those different future states occurring are known. Risk is well described by the laws of probability and statistics. Knightian uncertainty occurs when the probabilities of future states, or even the nature of possible future states is not known. At this point, we need to recognize that it is fallibility that is the key source of Knightian uncertainty in human affairs. Yes, reflexivity does introduce an element of uncertainty into both the participants’ views and the actual course of events, and there are also other forms of fallibility that have the same effect. For instance, different participants have different goals, some of which may be in conflict with each other. Moreover, as Isaiah Berlin pointed out, each participant may be guided by a multiplicity of values that may not be self-consistent. The uncertainties created by these factors are more extensive than those specifically associated with reflexivity. We must also remember that not all forms of fallibility create Knightian uncertainty. Some forms are subject to statistical analysis – human errors leading to road accidents for example, or the many biases and errors discovered by behavioral economists. Other aspects of fallibility qualify as Knightian uncertainty – for example, probability analysis is not much help in understanding the misconceptions at the heart of the euro crisis. Humans face quantifiable risks as well as Knightian uncertainty. There are many activities that are predictable or at least their probabilities can be calculated. Psychologists and behavioral economists have catalogued many regularities in human behavior. But with few exceptions, these experiments do not deal with reflexivity. Most behavioral experiments assess people’s perception of objective reality (e.g. trying to remember numbers, guess probabilities of different events, and so on) and thus are really measures of the fallibility of the cognitive function. The manipulative function is rarely studied. Thus, there is both uncertainty and regularity in human affairs. Reflexivity is only one source of uncertainty, albeit a powerful one. Earlier, I referred to the combination of reflexivity and fallibility as the human uncertainty principle. That makes it a broader concept than reflexivity. The human uncertainty principle is much more specific and stringent than the subjective skepticism that pervades Cartesian philosophy. It gives us objective reasons to believe that the theories held by the participants, as distinct from statements of specific facts, are liable to be biased, incomplete, or both. The idea that the sciences should be unified goes back to the pre-Socratic Greeks and has been a subject of debate in philosophy ever since. Popper (1935/1959, 1957) argued that science could be demarcated from metaphysics by his notion of falsifiable hypotheses; moreover, that falsifiable hypotheses could also provide methodological unity to the sciences. While I have drawn much inspiration from Popper, this is an important point where I differ from my mentor. I believe that reflexivity provides a strong challenge to the idea that natural and social science can be unified. I believe that social science can still be a valuable human endeavor, but in order for it to be so, we must recognize its fundamental differences from natural science. I base my argument on Popper’s (1935/1959) theory of scientific method. Let me start by summarizing his beautifully simple and elegant scheme. It consists of three elements and three operations. The three elements are scientific laws of universal and timeless validity and two sets of singular conditions that Popper calls the cause and the effect. The three operations are prediction, explanation, and testing. When a scientific law is combined with the cause it provides predictions. When a scientific law is combined with the effect it provides explanations. In this sense, predictions and explanations are symmetrical and reversible through the logic of deduction. That leaves testing. On this last point Popper had a key insight. According to Popper, scientific laws are hypothetical in character; they cannot be verified, but they can be falsified by empirical testing. The key to the success of scientific method is that it can test generalizations of universal validity with the help of singular observations. One failed test is sufficient to falsify a theory, but no amount of confirming instances is sufficient to verify it. Generalizations that cannot be tested do not qualify as scientific. This is a brilliant construct that makes science both empirical and rational. According to Popper, it is empirical because we test our theories by observing whether the predictions we derive from them are true, and it is rational because we use deductive logic in doing so. Popper dispenses with inductive logic, which he considers invalid and gives testing a central role instead. He also makes a strong case for critical thinking by asserting that scientific laws are only provisionally valid and remain open to re-examination. The three salient features of Popper’s scheme are the symmetry between prediction and explanation, the asymmetry between verification and falsification, and the central role of testing. These three features allow science to grow, improve, and innovate. Popper’s scheme has worked extraordinarily well for the study of natural phenomena, but the human uncertainty principle throws a monkey wrench into the supreme simplicity and elegance of Popper’s scheme. The symmetry between prediction and explanation is destroyed because the future is genuinely uncertain, and therefore cannot be predicted with the same degree of certainty as it can be explained in retrospect. One might object that uncertainty exists in all realms of science. But while Werner Heisenberg’s uncertainty principle in quantum mechanics is subject to the laws of probability and statistics, the deep Knightian uncertainties of human affairs associated with the human uncertainty principle are not. Even more importantly, the central role of testing is endangered. Should the initial and final conditions include or exclude the participant’s thinking? The question is important because testing requires replicating those conditions. If the participants’ thinking is included, it is difficult to determine what the initial and final conditions are because the participants’ views can only be inferred from their statements or actions. If the participants’ thinking is excluded, the initial and final conditions do not constitute singular observations because the same objective conditions may be associated with very different subjective views. In either case, testing cannot meet the requirements of Popper’s scheme. This limitation does not preclude social sciences from producing worthwhile generalizations, but they are unlikely to match the predictive power of the laws of physics. Empirical testing ought to play a central role in social science as well but it should not be expected to produce universal and timeless generalizations with symmetrical and reversible explanatory and predictive powers. This point will be elaborated at the end of Section 4. I contend that situations that have thinking participants have a different structure from natural phenomena. The difference lies in the role thinking plays. In natural phenomena, thinking plays no causal role. Events unfold irrespective of the views held by the observers. The structure of natural events can be described as a chain of cause and effect generating a steam of objective facts, without any interference from the subjective aspects of reality (see Figure 2). In natural science, the outside observer is engaged only in the cognitive function, and the facts provide a reliable criterion by which the truth of the observers’ theories can be judged. So the outside observer can obtain knowledge about the natural phenomena she is observing. Based on that knowledge, nature can be successfully manipulated. That manipulation may change the state of the physical world, but it does not change the laws that govern that world. We can use our understanding of the physical world to create airplanes, but the invention of the airplane did not change the laws of aerodynamics. By contrast, in human affairs, thinking is part of the subject matter The course of events leads not only from facts to facts but also from facts to the participants’ perceptions (the cognitive function) and from the participants’ decisions to facts (the manipulative function). Figure 3 is a simplified presentation of the structure of social events. It illustrates that there is only one objective aspect but as many subjective aspects of reality as there are thinking participants. The reflexive feedback loops between the objective and subjective aspects of reality create a lace-like pattern, which is superimposed on the direct line leading from one set of facts to the next and deflects it from what it would be if there were no feedback loops. The feedback sometimes brings the subjective and objective aspects closer together and sometimes drives them further apart. The two aspects are aligned, but only loosely – the human uncertainty principle implies that a perfect alignment is the exception rather than the rule. Popper’s scheme would require social scientists to produce generalizations of universal and timeless validity that determine the alignment of the objective and subjective aspects of reality. If the human uncertainty principle is valid, that is an impossible task. Yet, the achievements of natural science, exemplified by Newtonian physics, were so alluring that economists and other social scientists have tried incredibly hard to establish such generalizations. They suffered from what I like to call ‘physics envy.’ In order to achieve the impossible, they invented or postulated some kind of fixed relationship between the participants’ thinking and the actual course of events. Karl Marx asserted that the material conditions of production determined the ideological superstructure; Freud maintained that people’s behavior was determined by the unconscious. Both claimed scientific status for their theories but Popper rightly argued that their theories could not be falsified by testing. However, Popper did not go far enough. The same argument applies to the mainstream economic theory currently taught in universities. It is an axiomatic system based on deductive logic, not on empirical evidence. If the axioms are true, so are the mathematical deductions. In this regard, economic theory resembles Euclidian geometry. But Euclid’s postulates are modeled on conditions prevailing in the real world while at least some of the postulates of economics, notably rational choice and rational expectations, are dictated by the desire to imitate Newtonian physics rather than real-world evidence. This ill-fated attempt by economists to slavishly imitate physics has a long history. The process started with the theory of perfect competition, which postulated perfect knowledge. That postulate was later modified to universally available perfect information. When that postulate proved inadequate Lionel Robbins, who was my professor at the London School of Economics, defined the task of economics as the allocation of limited means to unlimited alternative ends (Robbins, 1932). He specifically excluded the study of the means and the ends themselves. By taking the prevailing values and methods of production as given he eliminated reflexivity as a possible subject of study for economics. Subsequently, this approach reached its apex with the rational expectations and efficient market hypotheses in the 1960s and 1970s. To be sure, physics envy is not unjustified. The achievements of natural science stand as convincing testimony to man’s ability to use reason. Unfortunately, these achievements do not ensure that human behavior is always governed by reason. The human uncertainty principle not only prevents the social sciences from producing results comparable to physics; it interferes with scientific method in other ways as well. I shall mention only one of them. As we have seen, natural phenomena provide a genuinely independent criterion for judging the validity of generalizations but the facts produced by social processes do not do so because they are influenced by theories held by participants. This makes social theories themselves subject to reflexivity. In other words, they serve not only a cognitive but also a manipulative function. To be sure, the generalizations and observations of natural scientists are also theory laden, and they influence the selection of facts but they do not influence the facts themselves. Heisenberg’s uncertainty principle showed that the act of observation impacts a quantum system. But the discovery of the uncertainty principle itself did not alter the behavior of quantum particles one iota. The principle applied before Heisenberg discovered it and will continue to apply long after human observers are gone. But social theories – whether Marxism, market fundamentalism, or the theory of reflexivity – can affect the subject matter to which they refer. Scientific method is supposed to be devoted to the pursuit of truth. But why should social science confine itself to passively studying social phenomena when it can be used to actively change the state of affairs? The temptation to use social theories to change reality rather than to understand it is much greater than in natural science. Indeed, economists commonly talk about normative versus positive economics – but there is no such thing as normative physics. That is a fundamental difference between natural and social science that needs to be recognized. In my argument, I have drawn a sharp distinction between the social and natural sciences. But such dichotomies are usually not found in reality; rather we introduce them in our efforts to make some sense out of an otherwise confusing reality. Indeed, while the dichotomy between physics and social sciences seems clear cut, there are other sciences, such as biology and the study of animal societies, that occupy intermediate positions. The distinction I have drawn between natural and social science consists of the presence or absence of thinking participants’ who have a will of their own. That begs the question of what constitutes a ‘thinking participant.’ One might reasonably ask whether a chimpanzee, a dolphin, or a computerized stock-trading program is a thinking participant. In some fields, superior data crunching capacity may trump the human imagination, as the chess contest between Big Blue and Gary Kasparov has shown. And automatic trading systems appear to be currently outperforming hedge funds run by humans. However, I would note that humans have some unique characteristics, notably language, emotions, and culture. Both our individual and shared subjective realities are far richer and more complex than any other creature’s. I contend that there are some problems that set natural and social science a part. I have focused on reflexivity as one such fundamental problem area. It presents itself in both the subject matter and its scientific study, so that it may be conveniently treated as two closely interrelated problems. Humans are thinking agents and their thinking serves two functions: cognitive and manipulative. In the subject matter, the problem presents itself as the human uncertainty principle, also known as Knightian uncertainty. That has no equivalent in natural science. For scientific method, the problem is more complicated because scientists are also human beings and their thinking also serves two functions. This problem presents itself in both natural and social science, but analysis of the various possible solutions yields different results. Science is a discipline that seeks to perfect the cognitive function by artificially isolating itself from the manipulative function. It does so by submitting itself to a number of conventions such as insisting on empirical tests that can be replicated and/or observed by others. Popper’s scheme shows what natural science can achieve by obeying those rules and conventions. As I have shown, the human uncertainty principle prevents social science from matching these achievements. But there is also a flip side to be considered: what happens when those rules and conventions are not observed? Remember that my criterion of demarcation between natural and social science is that the latter is reflexive, the former is not. In other words, social science can change objective reality by influencing the participants’ views, but natural science cannot because its subject matter has no thinking participants. That is what I meant when I remarked in The Alchemy of Finance, that the alchemists made a mistake in trying to change the nature of base metals by incantation. Instead, they should have focused their attention on the financial markets, where they could have succeeded. Now I need to take my analysis further. Natural science can work wonders as long as it follows Popper’s scheme because it has a purely objective criterion, namely the facts, by which the truth or validity of its laws can be judged, but it cannot produce anything worthwhile by cheating on the testing process. Cars that do not obey the laws of physics will not move; airplanes will not fly. How about social science? We have seen that Popper’s scheme cannot be expected to produce comparable results. On the other hand, social theories also serve a manipulative function and their influence on objective reality may prove quite satisfactory from the point of view of their proponents – at least for a while, until objective reality reasserts itself and the outcome fails to correspond to expectations. There are many statements that fit this pattern. President Obama managed to make the post 2008 recession shorter and shallower by asserting that the economy was fundamentally sound and promising a speedy recovery, but he paid a heavy political price when reality failed to live up to his promises. Fed chairman Alan Greenspan operated much the same way, but his Delphic utterances were more difficult to prove wrong. Both Freud and Marx sought to gain acceptance for their theories by claiming scientific status. One of the most interesting cases is the efficient market hypothesis and its political companion, market fundamentalism. We shall see that the mechanism that provides some degree of justification for the claim that markets are always right is reflexivity, not rational expectations. Yet, a false explanation can be subjectively more appealing than what I consider to be the true one. The efficient market hypothesis allows economic theory to lay claim to the status of a hard science like physics. And market fundamentalism allows the financially successful to claim that they are serving the public interest by pursing their self-interest. That is a powerful combination that dominated the field until it caused a lot of damage in the financial crisis of 2007/2008. Surprisingly it survived that debacle: the conservative wing of the Republican party managed to pin the blame for the financial crisis on the government rather than on the private sector. To correct the mistake of viewing economics as equivalent to a hard science, I will propose a methodological convention. I propose renouncing Popper’s doctrine of the unity of science and recognizing a fundamental difference between natural and social phenomena – not as an empirical truth but as a methodological convention. The convention asserts that social science cannot be expected to produce results comparable with physics by using the same methods; however, it sets no limits on what social science may be able to accomplish by employing different methods. The convention will protect scientific method by preventing the social sciences from parading with borrowed feathers. It should not be taken, however, as a demotion or devaluation of social science. On the contrary, it should open up new vistas by liberating social science from the slavish imitation of natural science and by protecting it from being judged by the wrong standards. Interestingly, both Karl Popper and Friedrich Hayek recognized in their famous exchange in the pages of Economica(Popper, 1944) that the social sciences cannot produce results comparable with physics. Hayek inveighed against the mechanical and uncritical application of the quantitative methods of natural science. He called it ‘scientism.’ and Popper wrote The Poverty of Historicism (1957) in which he argued that history is not determined by universally valid scientific laws. Nevertheless, Popper proclaimed what he called the ‘doctrine of the unity of method,’ by which he meant that both natural and social sciences should use the same methods and be judged by the same criteria. By proclaiming the doctrine, Popper sought to distinguish pseudo-scientific theories like those of Marx and Freud from mainstream economics. As mentioned earlier, Popper did not go far enough: rational choice theory and the efficient market hypothesis are just as pseudo-scientific as Marxist and Freudian theories. if all changes were to take place in accordance with invariable and universally known laws, [so that] they could be foreseen for an indefinite period in advance of their occurrence, … profit or loss would not arise. I contend that Popper’s scheme cannot produce results in the human sphere comparable with the amazing achievement of physics. The slavish imitation of natural science can easily produce misleading results, sometimes with disastrous consequences. A methodological convention that merely asserts that social sciences should not be confined to the same methods and be judged by the same criteria as the natural sciences may not seem like an adequate remedy for the ills I have identified. But look at the straightjacket Lionel Robbins imposed on economics: it prevented economists from recognizing reflexivity and encouraged the development of synthetic financial instruments and risk management techniques that ignore Knightian uncertainty with disastrous consequences from which we have not yet found an escape. Financial markets provide an excellent laboratory for testing the ideas I have put forward in the previous sections. The course of events is easier to observe than in most other areas. Many of the facts take a quantitative form, and the data are well recorded and well preserved. The opportunity for testing occurs because my interpretation of financial markets directly contradicts the efficient market hypothesis, which has been the prevailing paradigm. The efficient market hypothesis claims that markets tend toward equilibrium and that deviations occur in a random fashion and can be attributed to exogenous shocks. It is then a testable proposition whether the efficient market hypothesis or my theory of reflexivity is better at explaining and predicting events. I contend that my theory of reflexivity is superior, even in its current rudimentary stage of development for explaining and predicting financial markets in general, and historical events like the financial crisis of 2007–2008 and the subsequent euro crisis in particular. Let me state the three key concepts of my approach, fallibility, reflexivity, and the human uncertainty principle as they apply to the financial markets. First, fallibility. Market prices of financial assets do not accurately reflect their fundamental value because they do not even aim to do so. Prices reflect market participants’ expectations of future market prices. Moreover, market participants are subject to fallibility; consequently, their expectations about the discounted present value of future earnings flows are likely to diverge from reality. The divergence may range from the negligible to the significant. This is in direct contradiction of the efficient market hypothesis, which does not admit fallibility. Second, reflexivity. Instead of playing a purely passive role in reflecting an underlying reality, financial markets also have an active role: they can affect the future earnings flows they are supposed to reflect. That is the point that behavioral economists have missed. Behavioral economics focuses on only half of the reflexive process: cognitive fallibility leading to the mispricing of assets; they do not concern themselves with the effects that mispricing can have on the fundamentals. There are various pathways by which the mispricing of financial assets can affect the so-called fundamentals. The most widely used are those that involve the use of leverage – both debt and equity leveraging. For instance, companies can improve their earnings per-share by issuing shares at inflated prices – at least for a while. Markets may give the impression that they are always right, but the mechanism at work is very different from that implied by the prevailing paradigm. Third, the human uncertainty principle turns what economic theory treats as timeless generalizations into a time-bound historical process. If agents act on the basis of their perfect understanding, equilibrium is far from a universally and timelessly prevailing condition of financial markets. Markets may just as easily tend away from a putative equilibrium as toward it. Instead of universally and timelessly prevailing, equilibrium becomes an extreme condition in which subjective market expectations correspond to objective reality. Theoretically such a correspondence could be brought about by either the cognitive or the manipulative function by itself – either perceptions can change to match reality or perceptions can lead to actions which change reality to match perceptions. But in practice such a correspondence is more likely to be the product of a reflexive interaction between the two functions. Whereas economics views equilibrium as the normal, indeed necessary state of affairs, I view such periods of stability as exceptional. Rather I focus on the reflexive feedback loops that characterize financial markets and cause them to be changing over time. Reflexive feedback loops can be either negative or positive. Negative feedback brings the participants’ views and the actual situation closer together; positive feedback drives them further apart. In other words, a negative feedback process is self-correcting. It can go on forever and if there are no significant changes in external reality, it may eventually lead to an equilibrium in which the participants’ views come to correspond to the actual state of affairs. That is what rational expectations theory expects to happen in financial markets. It postulates that there is a single correct set of expectations that people’s views will converge around and deviations are random – there are no systematic errors between participants’ forecasts and what comes to pass. That postulate has no resemblance to reality, but it is a core tenet of economics as it is currently taught in universities and even used in the models of central banks. In practice, market participants’ expectations diverge from reality to a greater or lesser extent and their errors may be correlated and significantly biased. That is the generic cause of price distortions. So equilibrium, which is the central case in mainstream economic theory, turns out to be an extreme case of negative feedback, alimiting case in my conceptual framework. Since equilibrium is so extreme that it is unlikely to prevail in reality, I prefer to speak of near-equilibrium conditions. By contrast, a positive feedback process is self-reinforcing. It cannot go on forever because eventually the participants’ views would become so far removed from objective reality that the participants would have to recognize them as unrealistic. Nor can the iterative process occur without any change in the actual state of affairs, because positive feedback reinforces whatever tendency prevails in the real world. Instead of equilibrium, we are faced with a dynamic disequilibrium, or what may be described as far-from-equilibrium situations. There are myriad feedback loops at work in financial markets at any point of time. Some of them are positive, others negative. As long as they are more or less in balance they cancel out each other and market fluctuations do not have a definite direction. I compare these swings to the waves sloshing around in a swimming pool as opposed to the tides and currents that may prevail when positive feedbacks preponderate. Since positive feedbacks are self-reinforcing occasionally they may become so big that they overshadow all other happenings in the market. Negative feedback loops tend to be more ubiquitous but positive feedback loops are more interesting because they can cause big moves both in market prices and in the underlying fundamentals. A positive feedback process that runs its full course is initially self-reinforcing in one direction, but eventually it is liable to reach a climax or reversal point, after which it becomes self-reinforcing in the opposite direction. But positive feedback processes do not necessarily run their full course; they may be aborted at any time by negative feedback. Building on these ideas, I have developed a theory about boom–bust processes, or bubbles (Soros, 1987, 2008). Every bubble has two components: an underlying trend that prevails in reality and a misconception relating to that trend (see Figure 4). A boom–bust process is set in motion when a trend and a misconception positively reinforce each other. The process is liable to be tested by negative feedback along the way, giving rise to climaxes which may or may not turn out to be genuine. If a trend is strong enough to survive the test, both the trend and the misconception will be further reinforced. Eventually, market expectations become so far removed from reality that people are forced to recognize that a misconception is involved. A twilight period ensues during which doubts grow and more people lose faith, but the prevailing trend is sustained by inertia. As Chuck Prince, former head of Citigroup said during the twilight of the super bubble: ‘As long as the music is playing, you’ve got to get up and dance. We’re still dancing.’ Eventually, a point is reached when the trend is reversed, it then becomes self-reinforcing in the opposite direction. Boom–bust processes tend to be asymmetrical: booms are slow to develop and take a long time to become unsustainable, busts tend to be more abrupt, due to forced liquidation of unsustainable positions and the asymmetries introduced by leverage. Figure 4 A typical market boom–bust. In the initial stage (AB), a new positive earning trend is not yet recognized. Then comes a period of acceleration (BC) when the trend is recognized and reinforced by expectations. A period of testing may intervene when either earnings or expectations waiver (CD). If the positive trend and bias survive the testing, both emerge stronger. Conviction develops and is no longer shaken by a setback in earnings (DE). The gap between expectations and reality becomes wider (EF) until the moment of truth arrives when reality can no longer sustain the exaggerated expectations and the bias is recognized as such (F). A twilight period ensues when people continue to play the game although they no longer believe in it (FG). Eventually a crossover point (G) is reached when the trend turns down and prices lose their last prop. This leads to a catastrophic downward acceleration (GH) commonly known as the crash. The pessimism becomes over done, earnings stabilize, and prices recover somewhat (HI). The simplest case is a real estate boom. The trend that precipitates it is easy credit; the misconception is that the value of the collateral is independent of the availability of credit. As a matter of fact, the relationship is reflexive. When credit becomes cheaper and more easily available, activity picks up and real estate values rise. There are fewer defaults, credit performance improves, and lending standards are relaxed. So, at the height of the boom, the amount of credit involved is at its maximum and a reversal precipitates forced liquidation, depressing real estate values. Amazingly, the misconception continues to recur in various guises. Other bubbles are based on different misconceptions. For instance, the international banking crisis of 1982 revolved around sovereign debt in which case no collateral was involved. The creditworthiness of the sovereign borrowers was measured by various debt ratios, such as debt to GDP or debt service to exports. These ratios were considered objective criteria, but in fact they were reflexive. When the recycling of petro-dollars in the 1970s increased the flow of credit to countries like Brazil, their debt ratios improved, which encouraged further inflows and started a bubble. In 1980, Paul Volcker raised interest rates in the USA to arrest inflation and the sovereign debt bubble burst in 1982. Bubbles are not the only form in which reflexivity manifests itself. They are just the most dramatic and the most directly contradictory to the efficient market hypothesis, so they do deserve special attention. But reflexivity can take many other forms. In currency markets, for instance, the upside and downside are symmetrical so that there is no sign of an asymmetry between boom and bust. But there is no sign of equilibrium, either. Freely floating exchange rates tend to move in large, multi-year waves. One of the most important and interesting reflexive interactions takes place between the financial authorities and the financial markets. Because markets do not tend toward equilibrium, they are prone to produce periodic crises. Financial crises lead to regulatory reforms. That is how central banking and the regulation of financial markets have evolved. Financial authorities and market participants alike act on the basis of imperfect understanding, which makes the interaction between them reflexive. While bubbles occur only intermittently, the interplay between authorities and markets is an ongoing process. Misunderstandings by either side usually stay within reasonable bounds because market reactions provide useful feedback to the authorities, allowing them to correct their mistakes. But occasionally the mistakes prove to be self-validating, setting in motion vicious or virtuous circles. Such feedback loops resemble bubbles in the sense that they are initially self-reinforcing but eventually self-defeating. Indeed, the intervention of the authorities to deal with periodic financial crises played a crucial role in the development of a ‘super-bubble’ that burst in 2007–2008 (Soros,2008, 2009). The interplay between markets and regulators is also at the heart of the euro crisis. I have been following the euro crisis closely ever since its inception. I have written numerous articles that have been collected in a book (Soros, 2012). It would be impossible to summarize all my arguments for this essay; therefore, I shall focus only on the reflexive interaction between markets and authorities. Both acted on the basis of their imperfect understanding. The design of the common currency had many flaws. Some of them were known at the time the euro was introduced. Everybody, for example, knew that it was an incomplete currency; it had a central bank, but it did not have a common treasury. The crash of 2008, however, revealed many other deficiencies. In retrospect, the most important was that by transferring the right to print to money to an independent central bank, member countries ran the risk of default on their government bonds. In a developed country with its own currency, the risk of default is absent because it can always print money. But by ceding or transferring that right to an independent central bank, which no member state actually controls, the member states put themselves in the position of third-world countries that borrow in a foreign currency. This fact was not recognized either by the markets or by the authorities prior to the crash of 2008, testifying to their fallibility. When the euro was introduced, the authorities actually declared government bonds to be riskless. Commercial banks were not required to set aside any capital reserves against their holdings of government bonds. The European Central Bank (ECB) accepted all government bonds on equal terms at the discount window. This set up a perverse incentive for commercial banks to buy the debt of the weaker governments in order to earn what eventually became just a few basis points, because interest rates on government bonds converged to practically zero. This convergence in interest rates caused divergences in economic performance. The weaker countries enjoyed real estate and consumption booms, while Germany, which was dealing with the burden of reunification, had to adopt fiscal austerity and structural reforms. After the Lehman bankruptcy European finance ministers declared that no other systemically important financial institution would be allowed to fail; Chancellor Merkel then insisted that the obligation should fall on each country individually, not on the European Union or the Eurozone collectively. That was the onset of the euro crisis. It took markets more than a year to react to it. Only when Greece revealed a much larger than expected fiscal deficit did markets realize that Greece may actually default on its debt – and they raised risk premiums with a vengeance not only on Greek bonds but also on the bonds of all the heavily indebted member countries. A Greek default would have created a worse banking crisis than the Lehman bankruptcy. The authorities put together a number of rescue packages but they always did too little too late; so conditions in Greece continued to deteriorate. This set a pattern for the other heavily indebted countries such as Spain, Italy, Portugal, and Ireland as well. While the actions of the ECB have calmed the markets, the crisis is still far from resolved. Rather than an association of equals, the Eurozone became divided into two classes: creditors and debtors. In a financial crisis, the creditors call the shots. The policies they are imposing perpetuate the division because the debtors have to pay risk premiums, not only on government bonds but also on bank credit. The additional cost of credit, which is a recurrent burden, makes it practically impossible for the heavily indebted countries to regain competitiveness. This is not the result of an evil plot. It was caused by a lack of understanding of an extremely complicated reality. In my articles, I put forward a series of practical proposals that could have worked at the time but became inadequate soon thereafter. Conversely, had the authorities adopted earlier some measures that they were willing to adopt later, they could have arrested the downtrend and then reversed it by adopting further measures. As it is, they have managed to calm the crisis, but failed to reverse the trend. This analysis emphasizes the vital role that fallibility plays in shaping the course of history: there would have been no crisis without it. It also shows that in far-from-equilibrium conditions the normal rules do not apply. One of the reasons why the crisis persists is that the Eurozone is governed by treaties that were designed for near-equilibrium conditions. Obviously economists relying on the prevailing paradigm could not have reached this conclusion. Both the super-bubble and the euro crisis are examples of far-from-equilibrium situations. A core difference between my approach and mainstream economics is that my framework can accommodate and explain such phenomena. Instead of declaring equilibrium as the outcome, I distinguish between near-equilibrium conditions that are characterized by random fluctuations and far-from-equilibrium situations that produce initially self-reinforcing but eventually self-defeating trends. Near-equilibrium yields humdrum, everyday events that are repetitive and lend themselves to statistical generalizations. In contrast, far-from-equilibrium conditions give rise to unique, historic events in which outcomes are uncertain but have the capacity to disrupt the statistical generalizations based on everyday events. Rules that can usefully guide decisions in near-equilibrium conditions can be misleading in far-from-equilibrium situations. The financial crisis of 2007–2008 is a case in point. All the risk management tools and synthetic financial products that were based on the assumption that price deviations from a putative equilibrium occur in a random fashion broke down, and those who relied on mathematical models that had served them well in near-equilibrium conditions got badly hurt. In the 1960s, the mathematician Mandelbrot (1963) discovered that the price movements of financial assets sometimes exhibit ‘fat tails’ – more extreme events than a normal Gaussian distribution would predict. This finding has since been confirmed by much research. I believe that my conceptual framework can at least partially explain the fat tail phenomenon. Reality feeds the participants so much information that they need to introduce dichotomies and other simplifying devices to make some sense of it. The simplest way to introduce order is binary division; hence, the tendency to use dichotomies. When markets switch from one side of a dichotomy to another the transition can be quite violent. The tipping point is difficult to predict but it is associated with a sharp increase in volatility, which manifests itself in fat tails. One of the most powerful concepts for purposes of simplification is the concept of change. In my first philosophical essay (Soros, 1962, 2006) written under the influence of Karl Popper, I used the concept of change to build models of social systems and reflexively connect them to modes of thinking. I linked organic society with the traditional mode of thinking, open society with the critical mode, and closed society with the dogmatic mode. It can be seen that my conceptual framework extends to a much broader area than that covered by economic theory. But financial markets provide the best laboratory for studying far-from-equilibrium situations at work because they manifest themselves in fat tails that can be clearly observed in the data. They can be studied in other fields as well, but only in the form of a historical narrative, as I have done in my analysis of the euro crisis, which weaves together politics with financial economics. Reflexivity has been largely neglected until recently because it connects different fields studied by different disciplines. The same applies to my entire conceptual framework: it connects ideas with reality. Reality has been broken up into narrow fields of specialization. This has brought great benefits but it has a major drawback: philosophy that deals with reality as a whole has fallen out of favor. It needs to be rehabilitated. Mainstream economics tried to seal itself off from reality by relying on postulates that turned out to be far removed from reality. The financial crisis of 2007/2008 and subsequent events exposed the weakness of this approach. The bankruptcy of Lehman Brothers was also the bankruptcy of the prevailing paradigm. There is urgent need for a new one. This essay has shown that my interpretation of financial markets – based on my theory of reflexivity – is radically different from orthodox economics based on efficient markets and rational expectations. Strictly speaking, both interpretations are pseudo-scientific by Popper’s standards. That is why I called my first book ‘The Alchemy of Finance’. And that is why some proponents of the efficient market hypothesis still defend it in the face of all the evidence. Nevertheless, I contend that my interpretation yields better explanations and predictions than the prevailing paradigm. How can I reconcile this claim with my starting contention that the future is inherently uncertain and financial markets are inherently unpredictable? By resorting to Popper’s logic of scientific discovery. As a market participant, I formulate conjectures and expose them to refutation. I also assume that other market participants are doing the same thing whether they realize it or not. Their expectations are usefully aggregated in market prices. I can therefore compare my own expectations with prevailing prices. When I see a divergence, I see a profit opportunity. The bigger the divergence, the bigger the opportunity. Popper made a similar assertion about scientific hypotheses. Philosophers of science roundly criticized him for this on the grounds that the predictive power of scientific theories cannot be quantified. It may not work for scientific theories, but I can testify from personal experience that it does work in the alchemy of financial markets. When the price behavior contradicts my expectations I have to re-examine my hypothesis. If I find myself proven wrong, I take a loss; if I conclude that the market is wrong, I increase my bet, always taking into account the risk that I am bound to be wrong some of the time. This works well in markets that are efficient in the sense that transaction costs are minimal; it does not work in private equity investments that are not readily marketable. My performance record bears this out. I was successful in markets but not in private equities. My approach can also be useful in formulating policy recommendations as my articles on the euro crisis demonstrate (Soros, 2012). I have argued that the failure is more profound than generally recognized. It goes back to the foundations of economic theory. Economics tried to model itself on Newtonian physics. It sought to establish universally and timelessly valid laws governing reality. But economics is a social science and there is a fundamental difference between the natural and social sciences. Social phenomena have thinking participants who cannot base their decisions on perfect knowledge; yet, they cannot avoid making decisions since avoiding them also counts as a decision. They introduce an element of indeterminacy into the course of human events that is absent in the behavior of inanimate objects. The resulting uncertainty hinders the social sciences in producing laws similar to Newton’s physics. Yet, once we recognize this difference it frees us to develop new approaches to the study of social phenomena. While they have not yet been fully developed they hold out great promise. The stakes could not be higher. The mistaken theories that allowed the ‘super bubble’ to build, the policy errors that were made in the wake of the crash, and the ongoing mishandling of the euro crisis highlight the human suffering that can result from a fundamental misunderstanding of the nature of economic systems. Recognizing the implications of our fallibility will be a great improvement in our understanding. Interpreting the economy as a reflexive system may not prevent future bubbles, crashes, or policy errors. But it may enable deeper insights into economic and socio-political phenomena and help humankind to better manage its affairs in the future. I realize that my approach is still very rudimentary. For most of my life, I developed it in the privacy of my own mind. Only in recent years, did I have the benefit of substantive criticism. It remains to be seen whether my conceptual framework can develop into a new paradigm. Much depends on whether reflexive feedback loops can be properly modeled. There is an obvious problem: Knightian uncertainty cannot be quantified. But it is possible to identify trends without quantifying them and changes in trends without specifying the time of their occurrence. That is what I have done in my boom–bust model (Figure 4). We can also use volatility, which is quantifiable, as a substitute for uncertainty. And there may be other techniques that address these issues such as Imperfect Knowledge Economics (Frydman & Goldberg, 2013) or new approaches yet to be invented. The new paradigm is bound to be very different from the one that failed. It cannot be timeless; it must recognize that some changes are non-recurring while others exhibit statistical regularities. Moreover, economic theory will not be able to seal itself off from other disciplines and from reality. It cannot confine itself to studying the allocation of limited means among unlimited alternative ends; it will have to take into account the impact the allocation may have on prevailing values and methods of production. Obviously, I shall not be able to develop my ideas on my own. That is why I am so pleased that the Journal of Economic Methodology is publishing this special issue. 1.Postscript: When I wrote this article I was troubled by drawing an overly sharp distinction between the natural and social sciences. Beinhocker’s (2013) article in this symposium and a workshop at the Central European University on 8 October 2013 led me to modify my views on separating the two. I still think that the methodological convention I proposed is needed in the near term in order to break the stranglehold of rational choice theory, but I realize it could do more harm than good in the long term. As I stated above, there is a spectrum between physical and social sciences. Beinhocker is right in arguing that we should study the spectrum rather than attributing reflexivity exclusively to the domain of the social sciences. There are many similarities between human and non-human complex systems, which could be obfuscated by the proposed convention. Instead of denying the unity of science we ought to redefine scientific method so that it is not confined to Popper’s model. · 2. Frydman, R., & Goldberg, M. D. (2013). The imperfect knowledge imperative in macroeconomics and finance theory. In R.Frydman & E. S.Phelps (Eds. ), Rethinking expectations: The way forward for macroeconomics (pp. 130–168). Princeton, NJ: Princeton University Press, Chapter 4. · 3. Keynes, J. M. (1936). The general theory of employment, interest, and money. New York, NY: Harcourt Brace. · 4. Knight, F. H. (1921). Risk, uncertainty, and profit. Boston, MA: Houghton Mifflin. · 6. Merton, R. K. (1949). Social theory and social structure. New York, NY: Free Press. · 9. Popper, K. (1945). The open society and its enemies. London: Routledge. · 10. Popper, K. (1957). The poverty of historicism. London: Routledge. · 11. Robbins, L. (1932). An essay on the nature and significance of economic science. London: MacMillan. · 12. Soros, G. (1962). Burden of consciousness. (unpublished; revised version included in Soros (2006)). · 13. Soros, G. (1987). The alchemy of finance. Hoboken, NJ: Wiley & Sons. · 14. Soros, G. (1998). The crisis of global capitalism: Open society endangered. New York, NY: Public Affairs. · 15. Soros, G. (2000). Open society: Reforming global capitalism. New York, NY: Public Affairs. · 16. Soros, G. (2006). The age of fallibility: Consequences of the war on terror. New York, NY: Public Affairs. · 17. Soros, G. (2008). The new paradigm for financial markets the credit crisis and what it means. New York, NY: Public Affairs. · 18. Soros, G. (2009). The crash of 2008 and what it means: The new paradigm for financial markets. New York, NY: Public Affairs. · 19. Soros, G. (2010). The Soros lectures at the Central European University. New York, NY: Public Affairs. · 20. 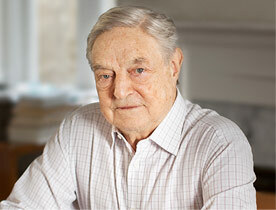 Soros, G. (2012). Financial turmoil in the United States and Europe: Essays. New York, NY: Public Affairs.